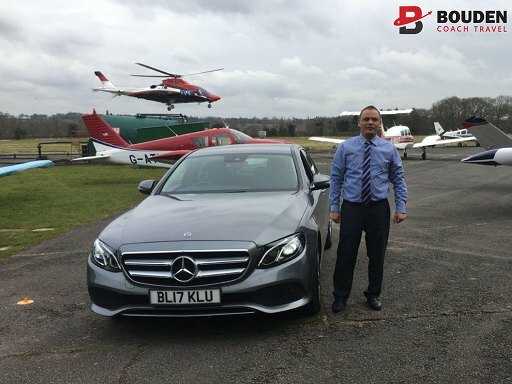 We provide chauffeur driven cars, minibuses and coaches with a driver for private, commercial and public sector, we welcome groups of all sizes no matter how big or small. Our fleet ranges from budget vehicle hire, executive and luxury hire. Our experience means that no matter how complex the arrangements, we can handle it efficiently and at a price that’s hard to beat. We believe that our reputation speaks for itself and the fact that 90% of our customers come back to us says volumes about the great value for service we provide and attention to detail we have for our customers. Need that little bit extra? We are proud to say that we have been providing travel for clients for many years, we can tailor each journey to you! 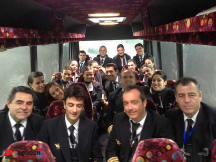 Offering everything from meet and greet services to refreshments such as breakfast, lunch options, snacks and hot drinks on board. Refreshment packages can be tailored to you and your group, our standard breakfast packages however consists of fresh juice, water, delicious fruit and mouthwatering pastries including bread, croissants and tasty muffins. Our lunch package can include sandwiches with multiple filling choices, crisps, chocolate and many different drinks options. We are delighted to say that we work with local suppliers for our refreshment packages who can provide delicious hot food platters at your request. Call us on 0800 112 3770 or click here to get a quick online quote. Where ever you want to go, our top quality coaches and excellent drivers will get you there. We offer the ultimate chauffeur service, It’s the limo life, without the limo. We offer VIP minibus hire with full chauffeur service. Relax and Enjoy your holiday, our airport transfer service will take the stress out of going to and from the airport. We put the V.I.P. in executive transport, many happy clients have enjoyed our luxury rides. Our executive and luxury vehicles are perfect for your corporate travel with all the benefits you would expect. When you want to get away to Europe, we can take you there on our luxury coaches. Whether your having a whole weekend or just a night, we can take you with all your friends and family on our coaches. Whether you are going to watch or play, we can get you there. We’ve got the experience and skill needed to help your big day run as smoothly as possible. Whether your going to a theme park or you want to take in the view. We can get you there. Want to make sure your staff are on time or want to take them somewhere nice? Take the stress and hassle out of funeral transport with our luxury coaches, minibuses and cars. 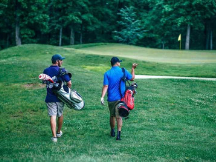 We can take you to your favourite golf course. They say golf is like life, but don’t believe them. Golf is more complicated than that. 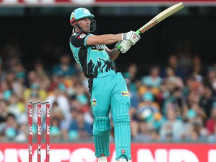 We can get you to this years ICC World Cup because cricket is life, everything else is just a game. 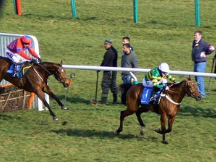 Whether you bet on Sunday Silence or Northern Dancer, we can get you to Cheltenham in our mini buses and luxury cars. Our standard vehicles may not boast all the same high tech amenities as some of our larger coaches, but sometimes you don’t need the whole nine yards. Sometimes, what you’re looking for is a simple, basic, and cost effective vehicle to go from A to B with ease and comfort. 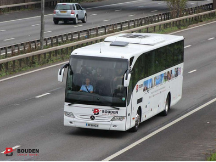 At Bouden Coach Hire, we understand the attraction of simplicity, and this is what puts us at the forefront of the coach hire industry. 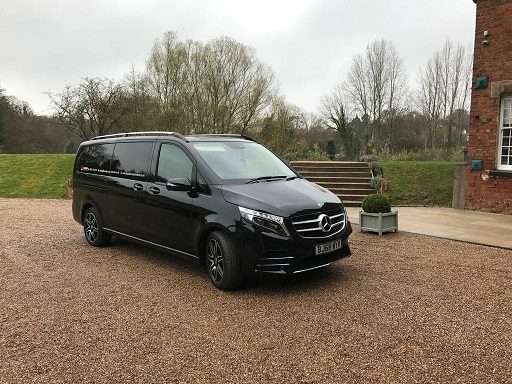 What you’ll get with our standard vehicles is safety and convenience at a bargain price – exactly what you’re looking for when transporting children on school trips or for short, local journeys where the more extravagant facilities aren’t required. 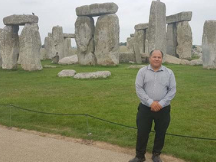 Despite the bad reputation the British weather gets, the summers can be remarkably hot, especially inland, so any good coach hire company like us ensures a good number of executive vehicles, complete with air conditioning to make longer journeys much more pleasant and enjoyable. These vehicles are also a good choice for hen & stag parties as they provide the perfect blend of low cost and luxury – somewhat of a middle ground between the two. Most of Bouden Coach Hire’s executive vehicles boast toilet facilities, so you can be sure you’ll be comfortable and relaxed during your journey. As a top coach hire company, we’re aware of the growing trend for luxury travel, which is why we’ve introduced a number of luxury vehicles to our fleet to give our clients a truly magnificent experience no matter where they’re travelling to. 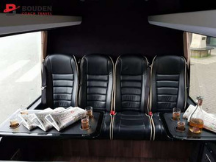 All of Bouden Coach Hire’s luxury fleet come complete with reclining leather seats which are ideal for long journeys, air conditioning for comfort, and onboard entertainment to help time fly. A large number of our luxury fleet also boast toilet facilities, separate washrooms, drinks makers and tables, and even microwaves for heating up snacks or baby food. These luxury vehicles are ideal for corporate travel, for cross country journeys, weddings and other grand events. If you looking for transport for just yourself or a small group we have excellent chauffeured cars with professional drivers. We provide the limo experience without the limo. Our MPV’s are perfect for you and your friends or family to go on an adventure together. Our luxury MPV’s are all high quality and have everything you need for a pleasant trip. 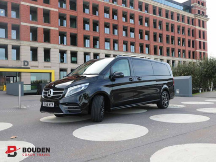 If you’re looking for a minibus to hire, look no further than Bouden Coach Hire’s 8-16 seat vehicles. Most of our vehicles of this size are Mercedes Sprinter conversions, but you wouldn’t believe it to look at them. 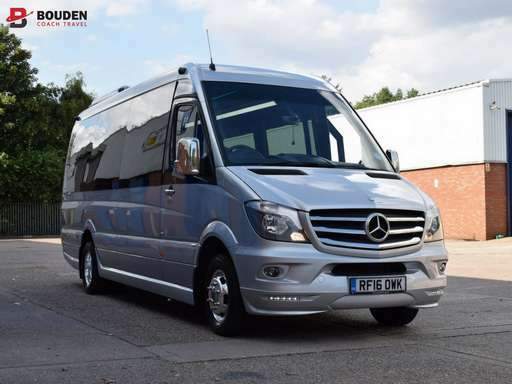 While the original Mercedes Sprinter was known for its excellent performance but basic design, and most commonly used for business and goods transportation, our conversions are anything but simple. We offer these 8-16 seaters in both executive and luxury vehicle types, meaning some are equipped with cutting edge entertainment technologies and facilities to make even the longest of journeys more comfortable, including drinks machines and luxurious reclining leather seats. 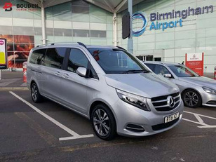 Many clients searching for minibus to hire are doing so to find high quality, low cost group transportation to Birmingham Airport or down to Heathrow or Gatwick for flights to a wider range of destinations. This is where Bouden Coach Hire’s 24 seaters really shine. With most of the fleet boasting comfortable leather seats, onboard entertainment, toilet facilities, and drinks makers, these coaches are ideal for lengthy journeys, or for journeys where you’re jet lagged and want just a little bit of luxury. These vehicles also include large luggage compartments, so we can accommodate your group comfortably no matter how much souvenir shopping you did on your trip! 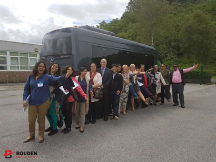 At Bouden Coach Hire, we’re committed to accommodating groups of all sizes, no matter how large, which is why we offer a number of full size, 49 seater coaches to make travel simple, convenient, and comfortable for our bigger groups. The majority of our 49 seater coaches offer onboard entertainment including TV and DVD players, drinks makers and tables, fridges and microwaves, toilets and washrooms, luxury reclining leather seating, and that all important extra legroom to make any journey more relaxed and satisfying. 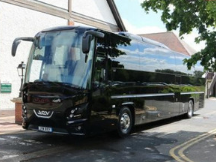 Our 49 seaters help to make us one of the best coach hire companies for weddings, transporting guests between the ceremony and reception venues in a safe and convenient manner. 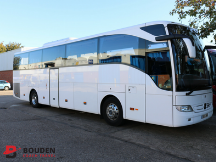 At Bouden Coach Hire, we’re proud to offer you three distinct categories of vehicle to perfectly meet any needs and preferences, making us one of the top coach hire companies. With such a broad choice, ranging from simple, budget vehicles right through to luxurious and well appointed coaches, our services are ideal for any occasion or event. 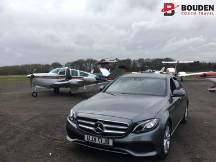 This includes airport transfers and school trips where low cost transport is key, weddings and stag & hens do’s where something a little more opulent is desired and corporate outings and chauffeur services when you’re looking to make a good impression. 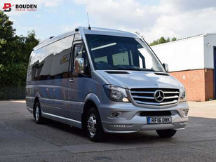 Take a look at our extensive range of vehicles to find the right coach or minibus for you.